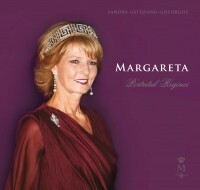 The author Sandra Gătejeanu-Gheorghe is chief protocol of the Royal House of Romania. This photo album shows the history of the first woman who is head of the Romanian Royal House. Her Majesty Margaret of Romania shows in this book with photos, documents, personal belongings, etc., who she really is: "With emotion and honour, the sense of duty as a good Romanian and guardian of the Romanian Crown, I adore life and work of our nation and the Romanians around the world ". Hardback edition, size 21.5x21.5cm, 262 pages, in Romanian but with more than 200 photos.